Editor’s note: Despite the very optimistic flavor of this article’s headline, consensus of the many seasoned Tucson brokers interviewed, both from PICOR and other Tucson commercial real estate firms, is that the Tucson markets are very slowly moving forward after many years of decline and stagnation. 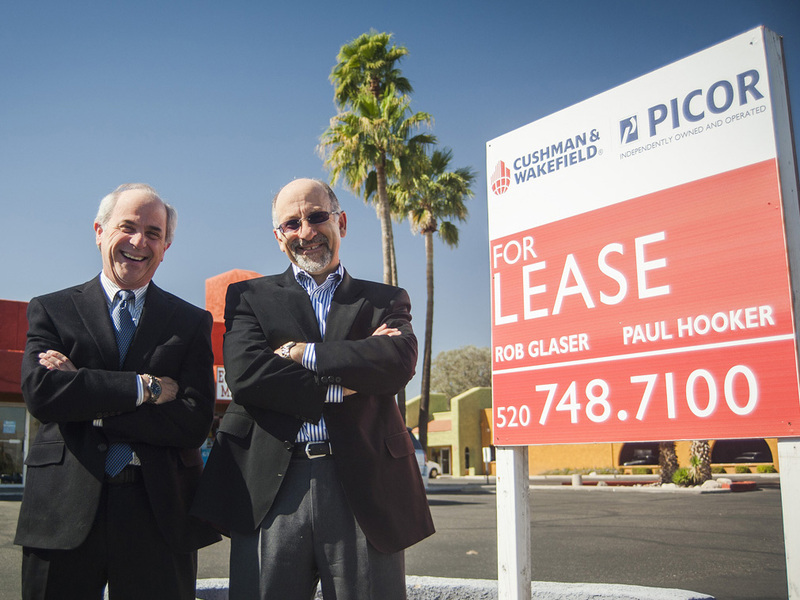 We have excerpted sections from Inside Tucson Business’ full article. Insiders are calling it “the space race,” lingo for describing a rush to rent commercial real estate. Since January, activity has “rocketed” up. The uptick has touched all commercial real estate markets except heavy industrial and manufacturing. Those two sectors are continuing to struggle while absorption for office, retail, health care and professional services space improves. The swing is so evident brokers are in unanimous agreement that the commercial real estate market in the region has finally lifted off the bottom. As the recession played out, there were many businesses that moved to take advantage of opportunities. Elements Home Décor did just that, relocating from 6380 E. Grant Road to Plaza Colonial at 2870 E. Skyline Drive. “They got an A location at a B rental rate, something not achievable in a good economy. A year ago, they couldn’t make that deal,” said Romano, who handles Plaza Colonial, which is now 100 percent occupied. Since January, business people appear more willing to invest again. “There’s always been money on the sidelines. But until they perceived that the economy and conditions improved, that money was stagnant. There is a definite uptick in the market, renewed optimism,” said Brian Harpel, president of the Harpel Company that specializes in retail space. Grocery anchors and drug stores have made the biggest impact in this sector. Industrial specialist Rob Glaser of Picor Commercial Real Estate said the manufacturing sector “has a pulse, but nothing significant.” He agreed with others that more industrial jobs are needed so the “significantly higher pay will trickle down and benefit” other sectors. “It’s very expensive to do business in California, too much regulation is a financial burden. Some are starting to look at Tucson again. It’s a trend to be pursued the next few years,” he said. “We’re even seeing some sales but it takes a lot of time to get there,” he said. 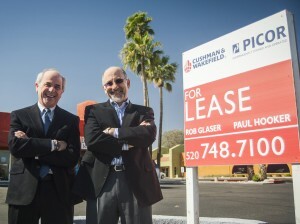 For more than six months, Kleiner had a listing for a “distressed” office building at 7042 E. Broadway at the southwest corner of Kolb Road. There was little interest in it until early 2012 when activity picked up. The property has now been bought for $240,000 by Stewart Title for its own use. “The client was focused on a particular location and didn’t want to go elsewhere. To their credit, the buyer and seller both hung in there to get what they both needed. It took six weeks to negotiate,” he said. In the category of business parks, Picor represents Phoenix-based Presson Corporation in Tucson. Presson is the largest owner of business parks in the Tucson region with eight sites housing 350 small business tenants. Most of the sites are on major traffic corridors such as Midway Business Park, 4500 E. Speedway, and Broadbent Business Park, at West Grant Road and Interstate 10. Since late 2011, the biggest office sector shift has been longer leases. Grubb & Ellis vice president Tari Auletta has seen more activity across all general office sectors. “Because they have more overall confidence, clients are not afraid of signing long-term leases. One or two-year leases are becoming three or five-year leases,” she said. On the sales side, brokers are once again getting multiple offers on some properties, added vice president Bill DiVito. For various reasons, more companies are buying their own buildings. Certainly, a good deal is a factor; plus the realization that new construction costs are high; development permits are often delayed; and impact fees are a deterrent. “Some want a good deal before the good properties go away. Others have outgrown their space. And there are cases where a building is only for sale, not lease, so they’ll buy it and figure out something later,” DiVito said. DiVito currently has multiple offers on a high-tech building that will be user-owned. He also has three clients considering industrial research buildings. “Each is good business acumen, they realize we’ve hit rock bottom,” he said. CBRE executive Buzz Isaacson, who specializes in downtown office space, tempered his enthusiasm for the overall commercial market. There is upward movement “but we’re not rockin’ and rollin’ like it used to be,” he said. He believes the increase is due to pent-up demand, that business people are tired of the bad economy and looking for signs of good news. As people monitor the economy, they have decided conditions are better now than a few months ago. “There is good anecdotal evidence that we are in the early stages of some sort of recovery. People are tired of being on the sidelines. As their leases expire or space requirements change, they are at a point where they have to make some tough decisions for their businesses,” he said. “I’ve heard it called recession fatigue. People need to feel better about their businesses,” he added. Of all the brokers, Isaacson best characterized the big picture. “More activity” means landlords and brokers are seeing more inquiries, more appointments to view properties, more detailed data being requested, and more strategic negotiating by all parties to make a deal.